This post is sponsored by RawSpiceBar. 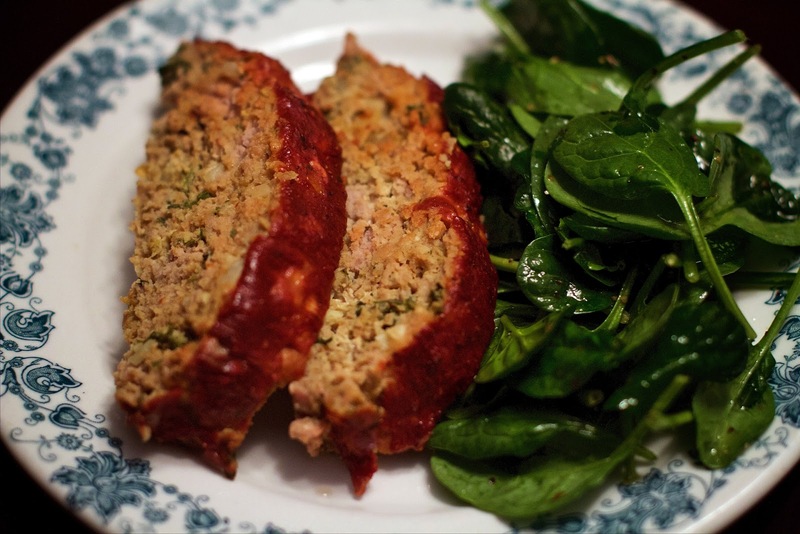 Meatloaf is such a classic dish. It’s a dependable go-to dinner for a busy weeknight. But dependable, doesn’t mean it has to be boring. It’s all in how you spice it up. Now don't get me wrong I love a traditional meatloaf recipe. Mine typically is a combination of ground beef and pork with breadcrumbs, onion, garlic, and sweet peppers glazed in a ketchup-type sauce. It's darn good if I do say so myself. However, with a few changes, I not only drew in some global flavors, I made it a bit healthier too. So, for this healthy spin, I chose a lean ground turkey and swapped bread crumbs for almond meal. Fresh spices make all the difference when working with lean meat. They give dimension to any meal, but especially meats that are often considered "bland." When it comes to fresh spices, RawSpiceBar offers high-quality, unique spices, transparently sourced from around the world. Yes, I work with them, but I work with them because I really do like their product. In their spice shop, you can subscribe to their quarterly spice kits or buy them individually. The spice kits are a fun way to explore new spice combinations and then if you find one you really like you can just go order more of that one. For a fun twist in this recipe, I mixed in a sweet, earthy Madras curry powder from RawSpiceBar; and then, added heat with a fresh habanero. The worst thing in the world is a dry meatloaf, so I always recommend basting it as it cooks to seal in extra flavor. I kept the glaze similar to my traditional mixture but added in some of the curry powder. 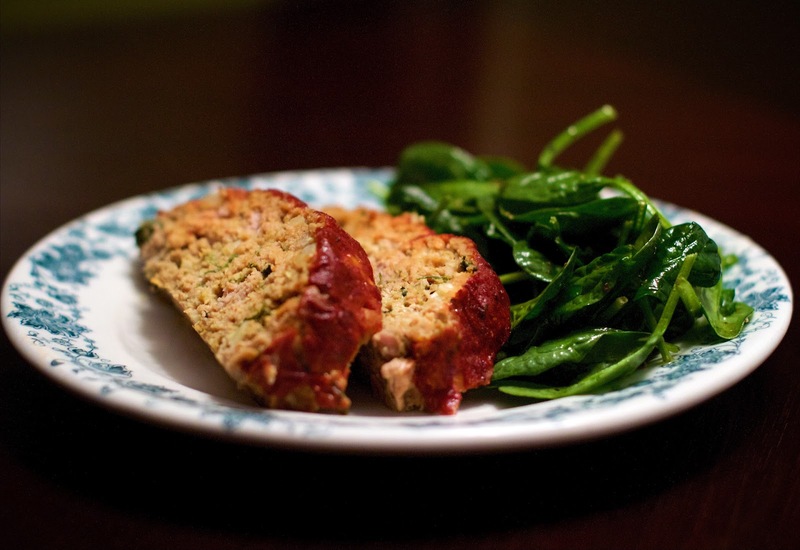 This meatloaf is flavorful and hearty; and, it is anything but boring. In a large bowl combine all the meatloaf ingredients. Mix just until all ingredients are evenly distributed. Shape the mixture into a rectangular loaf on the lined baking sheet. Make the glaze. In a small bowl whisk together all the glaze ingredients. After the meatloaf has been cooking for 10 minutes, take out from the oven and baste with half of the glaze. Place back into oven and cook for 15 minutes. Remove from oven and baste with remaining glaze. Place back in the oven to finish cooking, approximately 20-25 minutes. If you want to make this recipe paleo-friendly all you need to do is eliminate the Worcestershire sauce or make your own paleo version. This looks easy enough to do! Ultimate comfort food! You reminded me I have not made this in ages. It really is comfort food. Fantastic! Cold meatloaf sandwiches are the best.